"‘Graceful and stylish in appearance or manner’ is the dictionary definition of ‘elegant’, but it could just as well be the description of our new fringe loafers. Crafted from fine calf leather and finished with Goodyear-welted soles, they feature an anti-slip rubber heel to prevent falls and keep you ‘graceful and stylish in appearance or manner’, too." 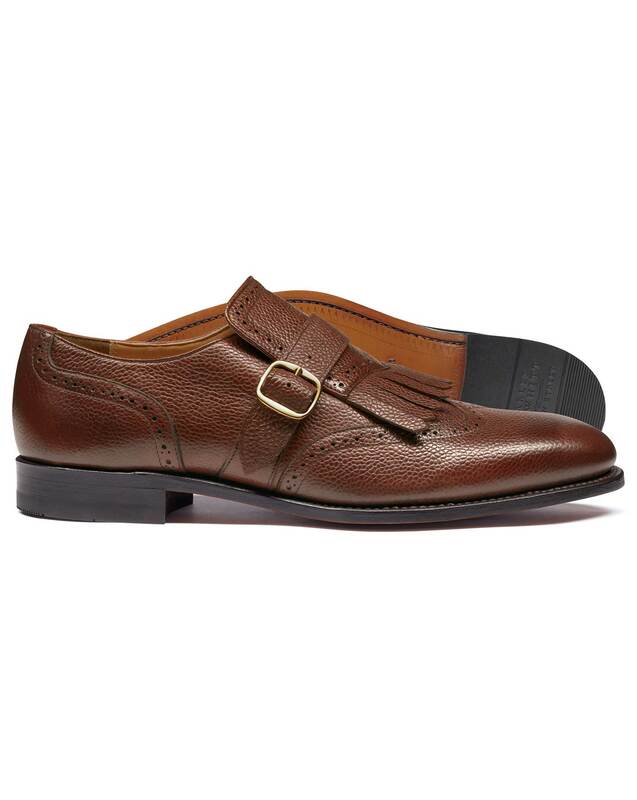 "Dashing Goodyear-welted calfskin loafers with a rubber heel to prevent any slippages."